Oh, the snow and blow that just will not go! 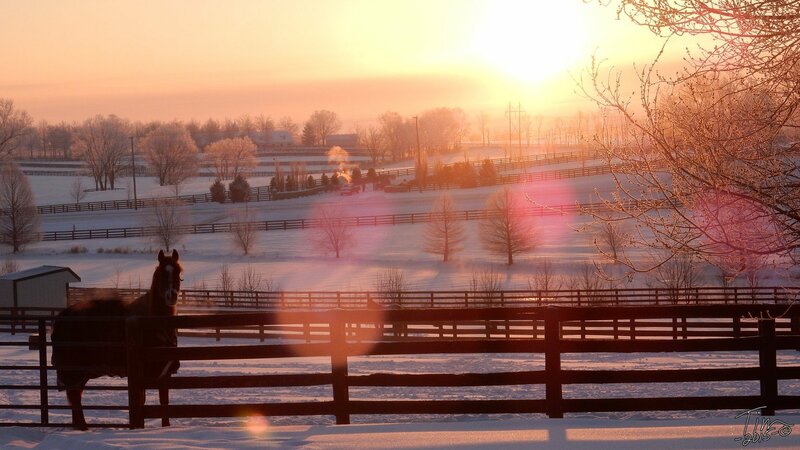 Actually, we’ve been pretty lucky in the Kentucky Blue Grass that there hasn’t been that much blow. But do we ever have snow! 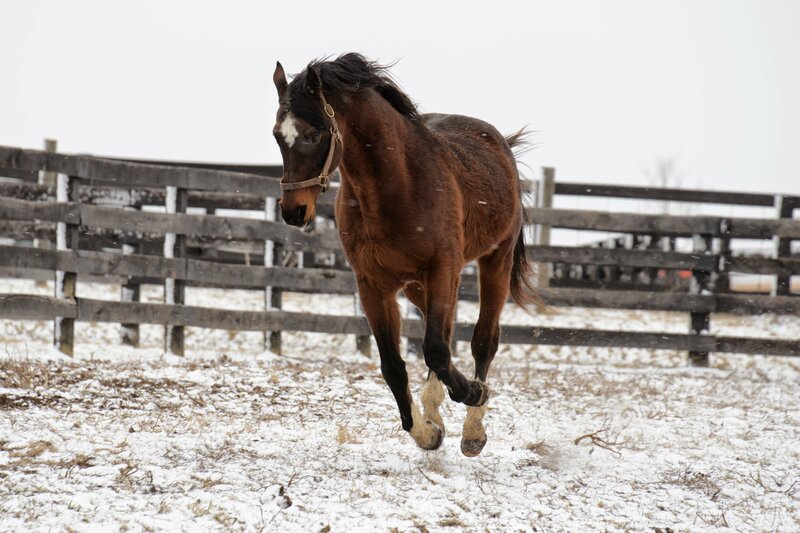 Fortunately, horses enjoy colder temperatures than most humans do. We humans don’t have thermoregulatory systems suited to staying comfortable and healthy in cold weather. Horses do. 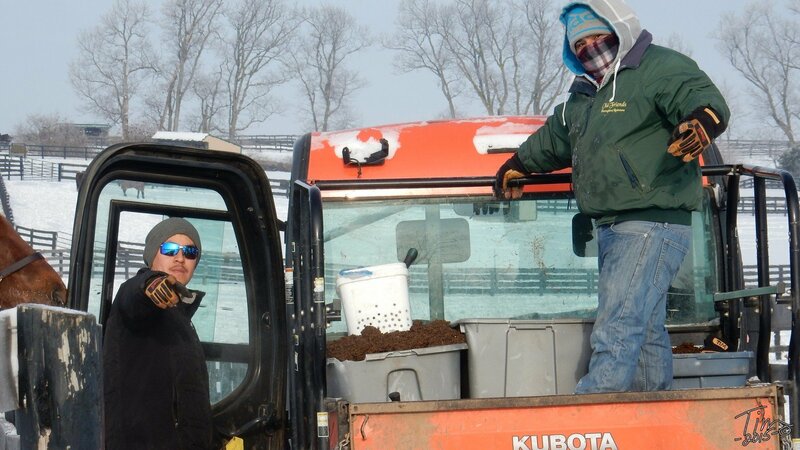 …all the thousand other things our expert barn management, Tim and Carole, and energetic staff, Antonio and Yoel, spend so much of their cold weather days doing, so that each horse is getting the care to meet his or her own particular needs. OK, now imagine doing all that work, up and down the length of a T-shaped 92 acre farm, plus additional pasturage and hay storage on the leased land on the side…in snow sometimes up to the shins…now so old and crusty you can walk on it…except where it caves in every few steps and dumps you into the snow…and you get the picture. The horses are doing fine. To us humans, it’s getting a little old. Will it really soon be March? Will spring ever come? Until it does, the horses are hangin’ out, sometimes seeming mildly amused at us struggling humans, sometimes inspiring and encouraging us to be more like them, to live in the present, to really feel and enjoy the warmth of the winter sun, and to enjoy the companionship of every day as it comes. I guess Slamming and Michael say it all in this photo. On Saturday, January 31st a special visitor stopped by the farm. 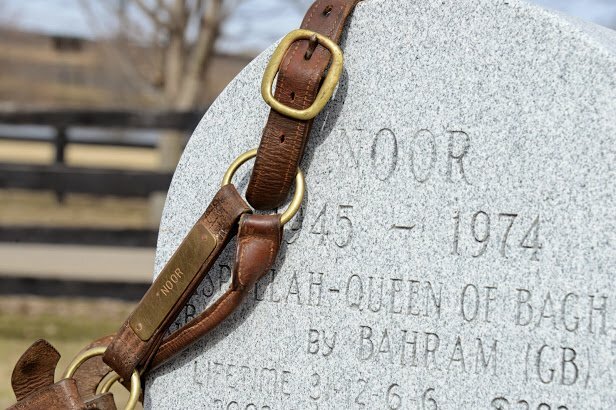 Milton Toby, award-winning turf writer and author of Noor: A Champion Thoroughbred’s Unlikely Journey from California to Kentucky took time out from his busy schedule to visit Noor’s grave. 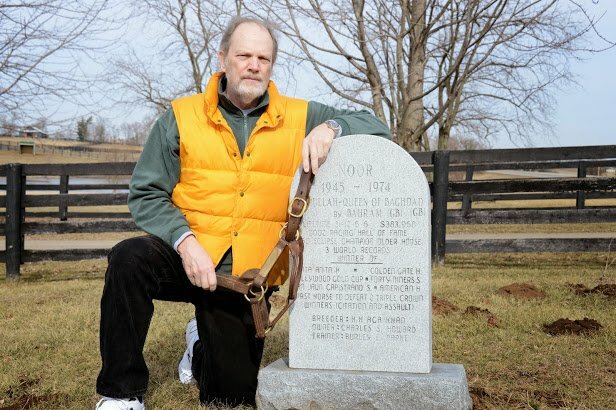 His visit also had another purpose, to see a halter that was worn by the one of racing’s historic champions and the subject of his wonderful book. 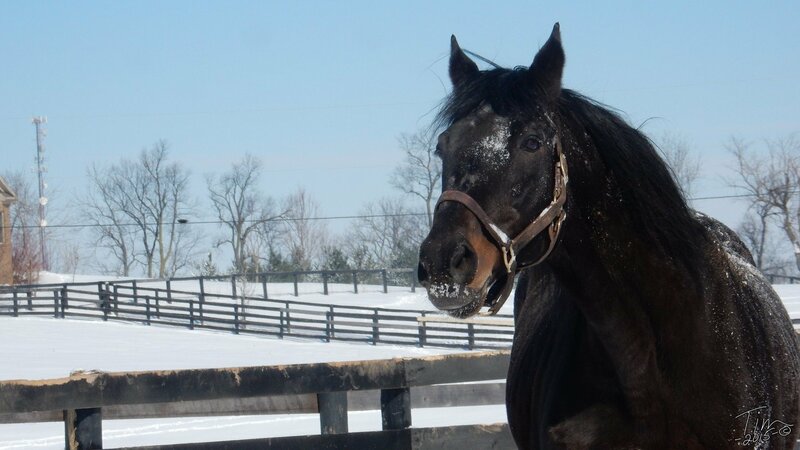 The halter was sent to us by Cindi Anderson of Grass Valley, California and is on permanent loan to Old Friends. Cindi was very fortunate to meet Noor when as a young girl she participated in school field trips on two separate occasions. As Loma Rica Ranch was closing, ranch manager Henry Freitas gave a box of tack to his close friend Ray Crow. 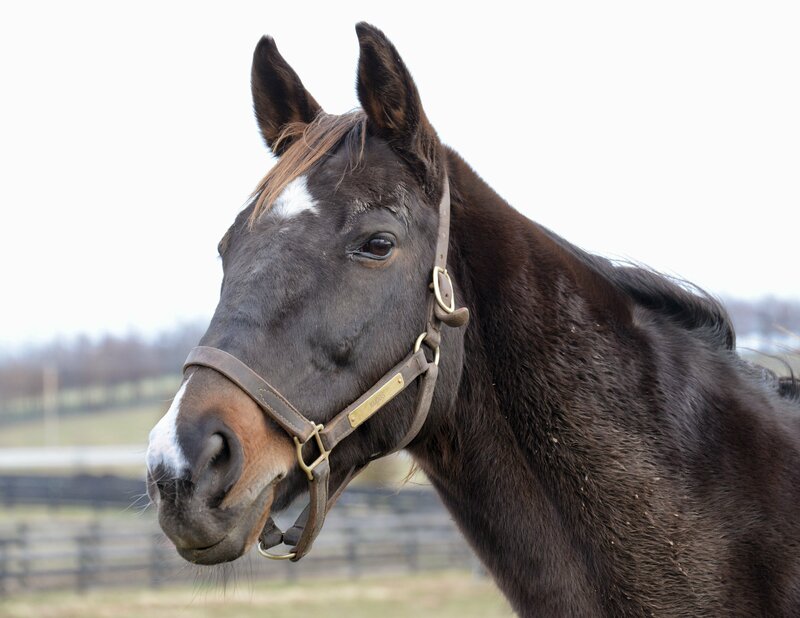 When Mr. Crow died, his son Steve gave the halter to Cindi. She felt it was meant for her to acquire the halter so it could make the journey to Old Friends for others to enjoy. We are very grateful to Cindi for entrusting us with her treasured artifact of racing history. On a related note, Milton will be hosting a lecture and book signing about Noor on June 2, 2015 at the Keeneland Library. The time of the event will be announced at a later date. 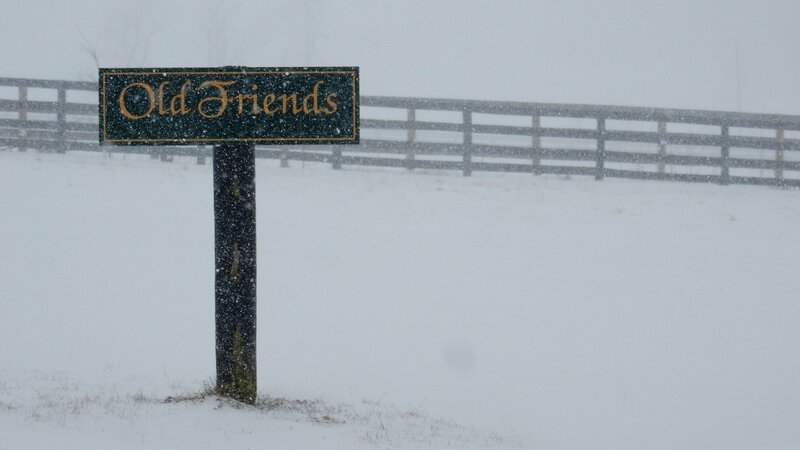 On Saturday and Sunday, February 7 and 8, the Bluegrass basked in mild weather, the kind that brings hopes that spring may eventually arrive. The horses loved it. Visitors! Carrots! Fun! 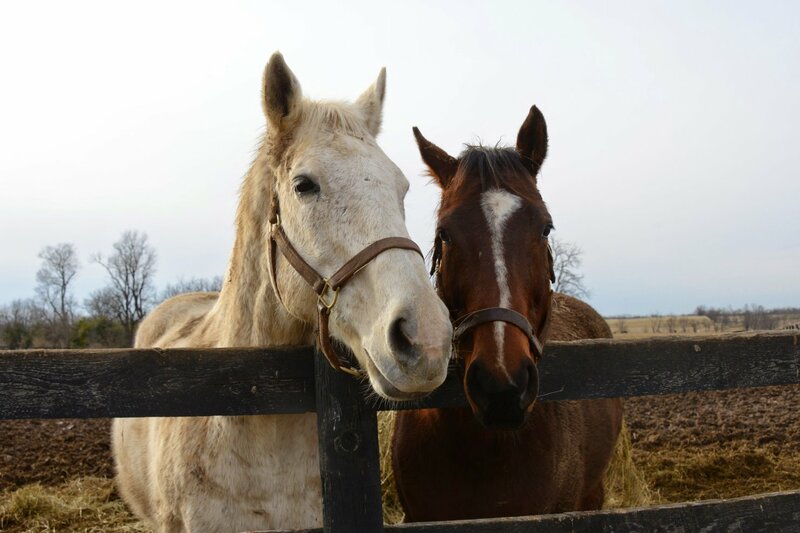 Game On Dude and Silver Charm are now as savvy about all this as the longest-time residents on the farm. They’re both extremely intelligent, and they both enjoy interacting with people. Each has his own style. 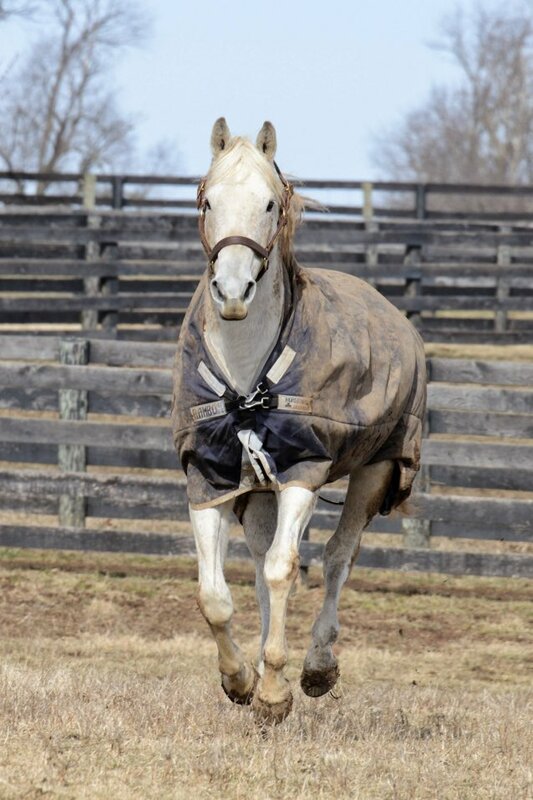 Silver Charm knows his own greatness. He confers his attention on us all as a favor. He’s very gracious to us. 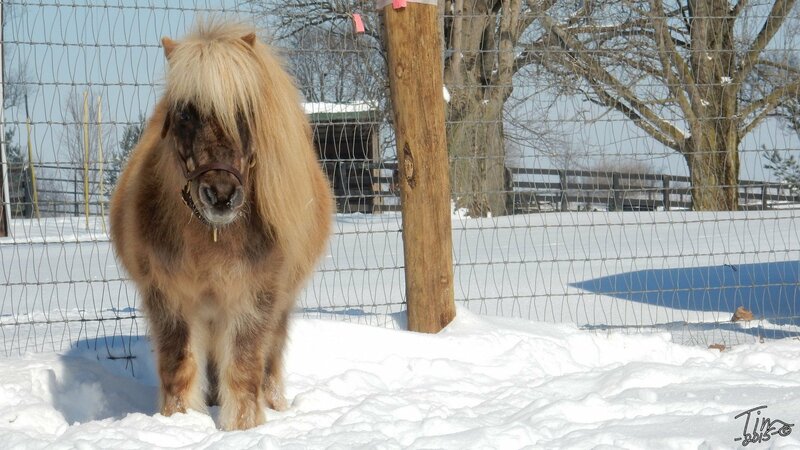 Like many dominant stallions, he expects to receive definite signs of respect along with our love. 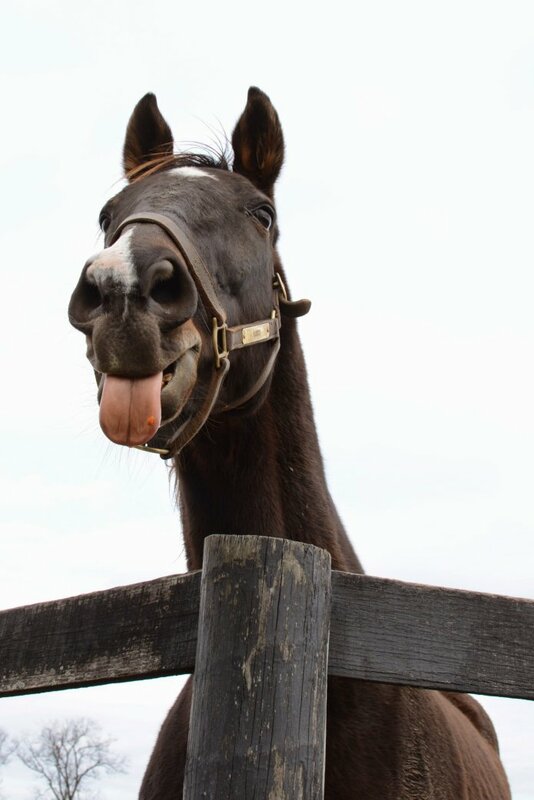 Game On Dude doesn’t stand on ceremony. Does he know how gorgeous he is? I don’t know, but he does thoroughly enjoy being Dude. Though he’s relatively young and loves to run and play, Dude’s gentleness is becoming proverbial on the farm. He greets people with his open, interested curiosity and usually welcomes a friendly pat on the nose or neck. These two superlative champions show their class in everything they do. Silver Charm and Game On Dude each has his own paddock next to each other. 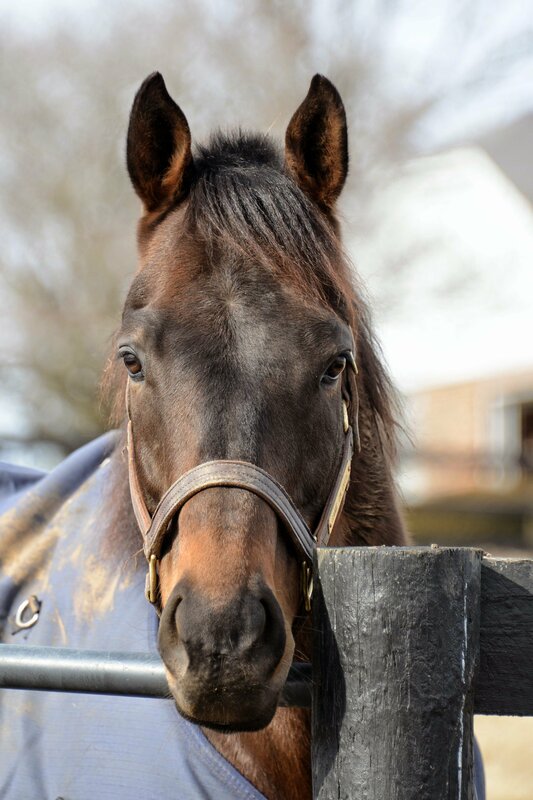 At the corner where many of the tours pause to visit them is the corner of a third paddock belonging to Delay of Game, Judge’s Case, and Kudos. 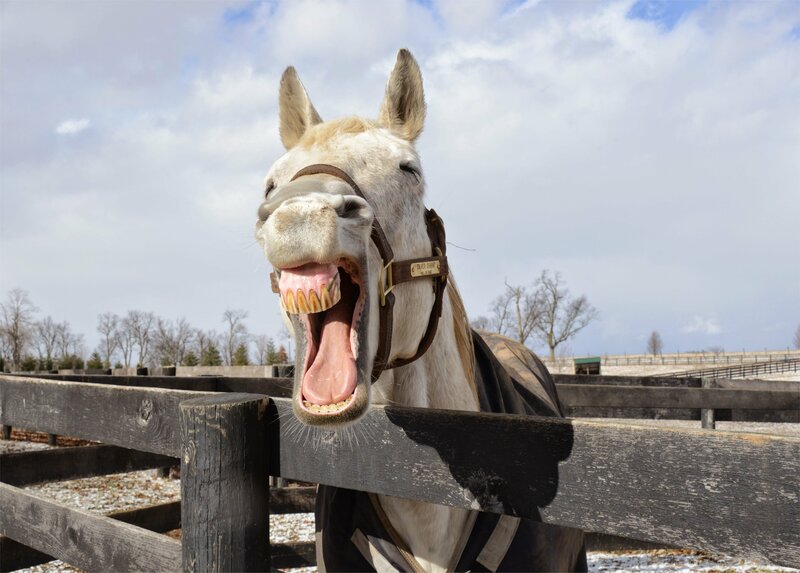 You may remember Kudos’ People Magazine photo bomb several years ago—a picture meant to be of Michael and Invigorate, his former race horse who he retired—transformed by Kudos’ firm belief that whatever his buddy Viggie did was at least as much his business as Viggie’s. Well, don’t these new guys realize that the paddock corner experience can never be complete unless Kudos is its main focus? At least for part of the visit. Don’t these two new guys know that Kudos is a millionaire? 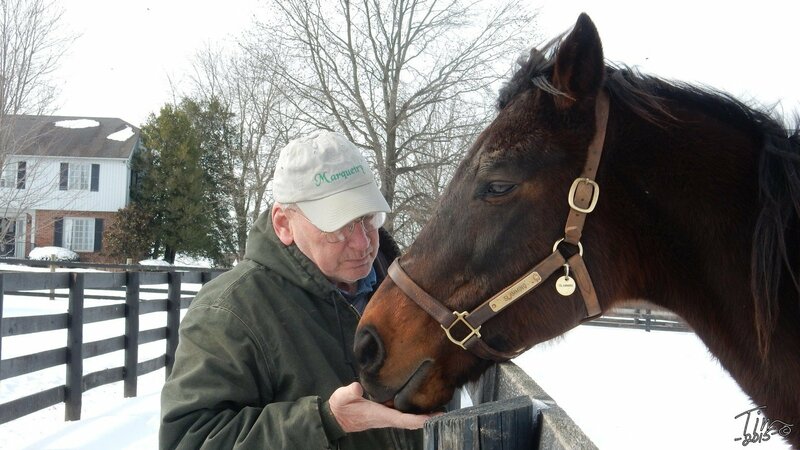 Raced by Jerry and Ann Moss long before Zenyatta was foaled, Kudos was trained by Richard Mandella. The beautifully bred gelding—he’s by Kris S. out of a daughter of Damascus—won the Oaklawn Handicap (G1), Californian Stakes (G2), San Marino and Jim Murray Memorial handicaps. He holds the record for 1 3/16 miles on the turf at Hollywood Park in 1:51.99, a record that will now never be broken. 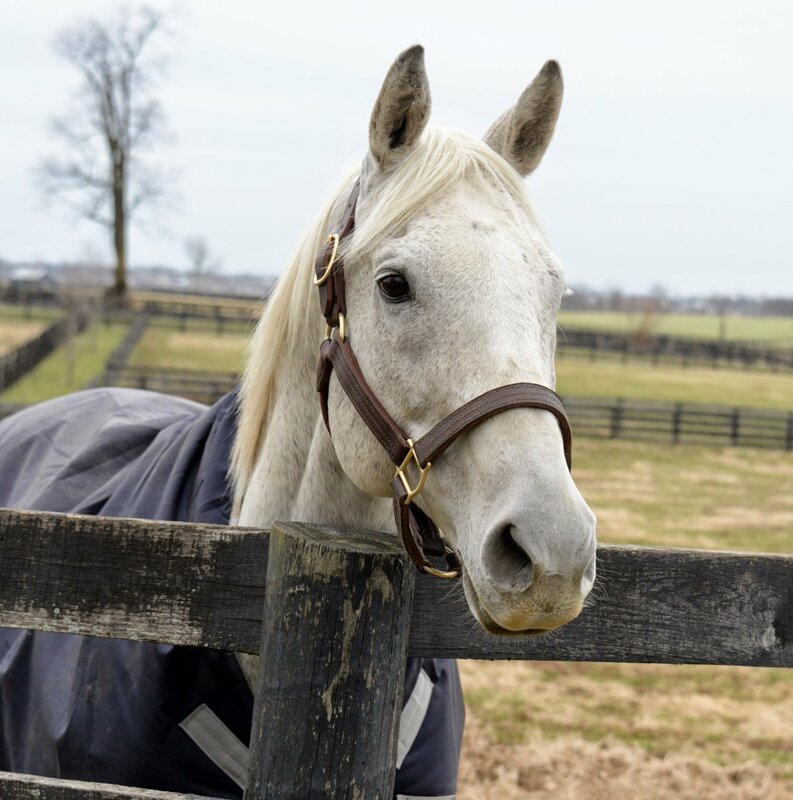 Kudos is now 18 and he loves attention, so when you visit Silver Charm and Game On Dude, be sure to turn and tell Kudos how wonderful he is, too. We do, all the time, but he loves to hear it again and again. Kudos applies his decade of OF expertise to get maximum carrots per tour. Lusty Latin and Stormy Passage – just hangin’ out.